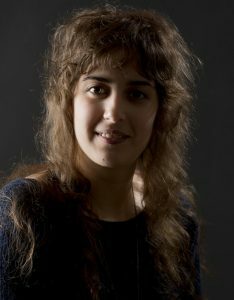 Ana Pio was born in Fundão, Portugal, where she studied Music, specializing in Piano, from the age of 10. Later, she pursued her studies in Cinema at the University of Beira Interior, complemented with a semester at the University of Lincoln, UK. Abroad, she had her first contact with the film industry working as a sound recordist and editor. She directed and produced her debut short film, in 2014, I Welcome You to This House, having screened in several countries and Film Festivals. In 2015, she specialized in Directing by completing a Masters at Met Film School, in London, where she currently lives and continues to produce and direct short films in both Portugal and UK. Eden is a film about the importance of protecting the basic human rights that we often take for granted in a free society. The idea is something that director Anna Pia wanted to explore as a filmmaker and is a story based on her father’s own experience. 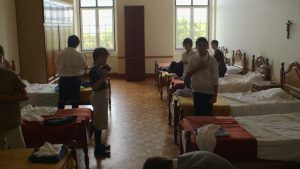 Eden is set in the early 1970’s in a Portuguese Catholic seminary at a time when cultural norms were strict and narrowly defined. 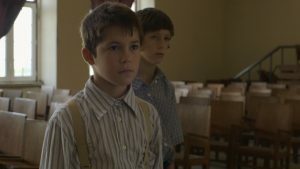 A young boy learns to speak up against what he feels is the unjust treatment that his classmates have received from the teachers at the school – one in particular. The essential message is positive and uplifting: we must never take our freedom for granted and always speak up against injustice, no matter what your age. 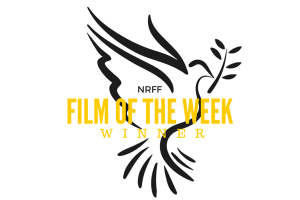 The WINNER of NRFF London’s FILM OF THE WEEK is guaranteed selection for the 2018 festival. Congratulations to EDEN. Enter your script or film into NRFF London 2018 today! Closing date is 10 June 2018.